New Zealand’s Prime Minister is pregnant – should we talk about it? New Zealand Prime Minister Jacinda Ardern announced her first pregnancy this month and recieved mixed reactions, spurring conversations about motherhood, politics and media. According to The Guardian, over 800 news stories relating to the pregnancy have been published, earning it the title “Jacindababymania.” Some commentators are bashing the media for being sexist, while others have adopted the no-nonsense, business attitude of Ardern herself. Ardern announced she will take six weeks of leave, during which Deputy Prime Minister, Winston Peters, will take on the duties of Prime Minister. Opinion writer Duncan Garner thinks Ardern needs more time. But Ardern’s perspective on what a woman can accomplish in her career and private life has others saying this is a step forward for women and politics. Jennifer Curtin, a professor of politics, and the director of the public policy institute at Auckland University was quoted in a recent Guardian article about her thoughts on the event. However, others are criticizing the event as a whole, saying the pregnancy should not be publicized at all because it creates sexist attitudes towards female politicians that their male counterparts would not receive. Bernadette O’Sullivan, NUI Galway lecturer of English with an emphasis on Media Ethics and Features Writing, is appalled that this is even a story in the media sphere. “How can the media… be obsessing about this woman’s private pregnancy? I feel it has nothing to do with her job as a prime minister,” she told SIN. “I feel that if she were male nobody would even care. I despair that a woman who’s obviously talented and who has risen to this level, which is so difficult for a woman to do in the first place, [is] now a womb,” added Bernadette. Dr Méabh Ní Fhuartháin, NUI Galway lecturer for the Centre for Irish Studies, said Ardern’s attitude about the frenzy has helped keep the conversation under control. “Broadly speaking, I think her eminently practical and responsible responses have controlled the conversation, I hope that lasts,” she said. “Jacindababymania” comes in the wake of Arden’s response to a New Zealand reporter who asked about her “baby plans” six hours after she was elected as leader of the Labour Party in early August. Ardern responded saying it was “unacceptable” for the reporter to ask any woman about her plans to have children, and that those decisions “should not predetermine” a woman’s status in the workplace. Dr Ní Fhuartháin said she sees a trend in how the media react to women in politics contrasting with attitudes towards their male counterparts. “Undoubtedly, the questions she faces on her ‘baby plans’ are sexist, and yes, it is hard to think of any similar context in which a male politician would be questioned in the same way,” she said. Ardern’s reaction to the reporter went viral and three months later she was elected Prime Minister of New Zealand, becoming the world’s youngest female world leader and the first Prime Minister to be sworn in while pregnant. Now, Ardern is responding to the mixed reactions to her announcement with what The Guardian described as a “no-nonsense” attitude. Ardern said her and her partner, Clarke Gayford, will “be joining the many parents out there who wear two hats,” and that she wants to honor the hard work many women put into their careers and families. NUI Galway Feminist Society Auditor, Hayley Little, considers the surrounding cultural norms and expectations set in place for women in politics that may have contributed to the media explosion over Ardern’s pregnancy. “What do gentlemen do? What does the government do to support working mothers? What do employers do to ensure mothers feel welcome and equal in the workplace? We [women] are tired of having our abilities called into question,” Little said. Ardern said going forward she plans to be fully contactable and devoted to her duties as Prime Minister. 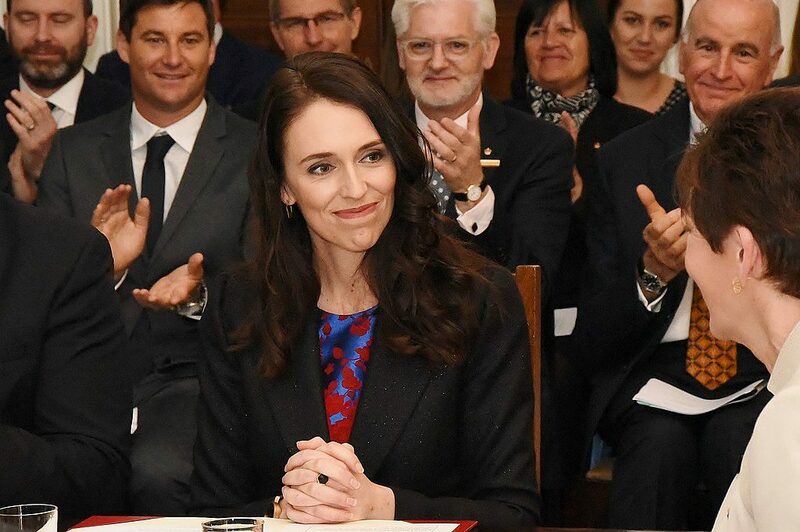 During a recent press conference, she expressed her excitement “expand from two to three,” as Ardern and her partner welcome the newborn this spring.